2005 Subaru Legacy GT Wagon. Automatic. New Timing Belt and Water Pump. Moonroof. Alloy Wheels. Leather Seats. Heated Seats. Cargo Tray. Crossbars. Fog Lights. Newer Tires. New Spark Plugs. New Valve Cover Gaskets. New Front Control Are Bushings. New Sway Bar Bushings. Fresh Oil Change. New Filters. Clean Title. This vehicle has few Hail dings. --NO DEALER FEES-- This vehicle has been inspected by our In-House Technician and passed our 121-Point Comprehensive Inspection. All Maintenance Completed! Bumper-To-Bumper Service Contract (Warranty) Available on this vehicle at a very low cost! READ OUR REVIEWS ON FACEBOOK/GOOGLE. Proud to support our troops by being a USAA Certified Dealer. All USAA/Military Members recieve a discount off listed price. 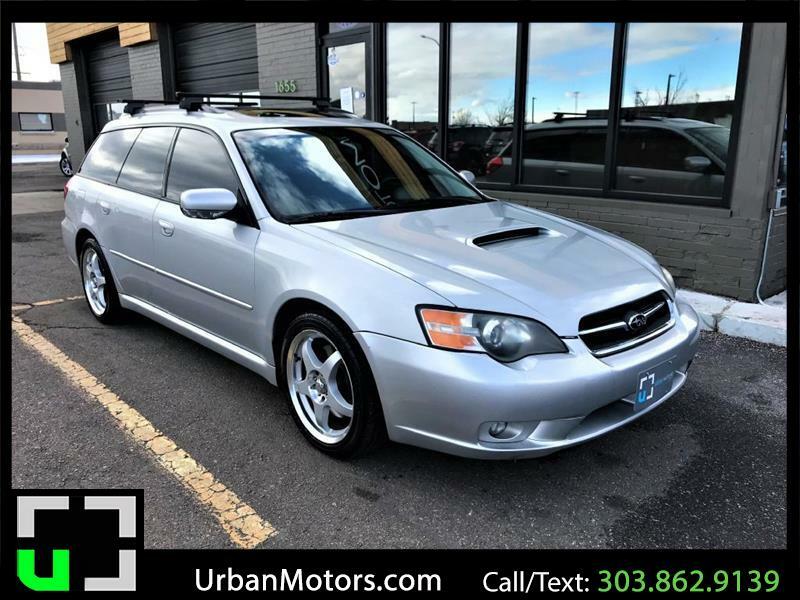 For more awesome Subaru's like this one, go to www.urbanmotors.com, TEXT or CALL 303-862-9139, or come see us at 1655 Wadsworth Blvd, Lakewood, CO 80214. Choose your own Colorado adventure. Visit New Era Car Company online at newerasubaru.com to see more pictures of this vehicle or call us at 303-862-9139 today to schedule your test drive.